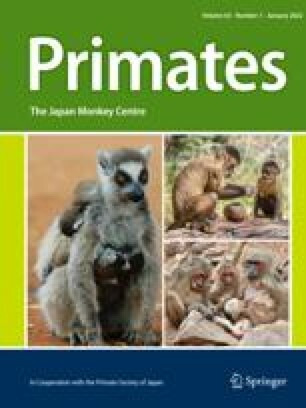 A series of encounters between a transplanted troop of Japanese monkeys (Macaca fuscata) and one or more bobcats (Lynx rufus) is described. One incident of predation was observed and four additional cases assumed. Reactions of identified individuals and groups of monkeys as well as general troop reactions are noted. The effects of breeding season behavior, troop size, differences in mother care, behavior of the bobcat, and the structure of the south Texas environment are explored. After the observed predation incident, intervention by the researchers affected the behavior of the monkeys and the bobcat, and reduced encounters. 1.Department of ZoologyUniversity of WisconsinMadisonU. S. A.